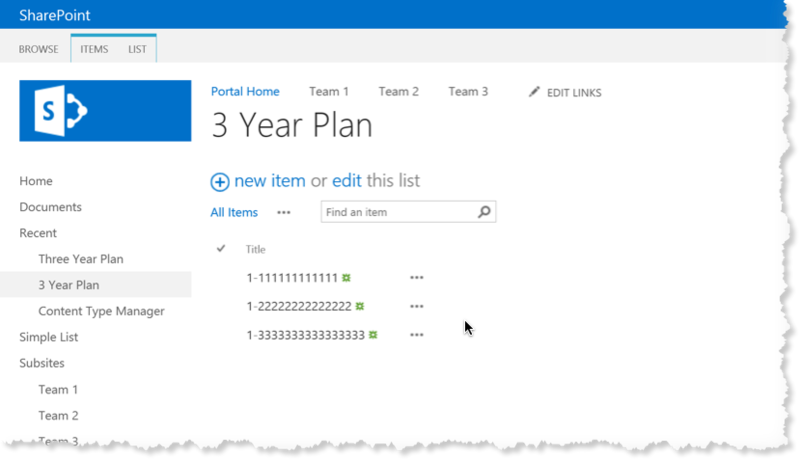 Came across another Clumsy Ninja SharePoint feature recently concerning the ListData.svc REST API which is found in both SharePoint 2010 and 2013. 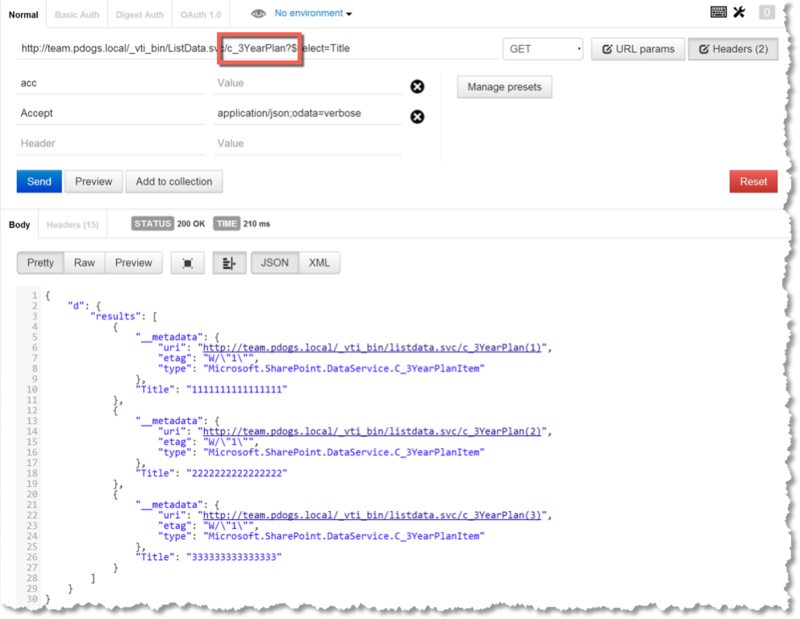 This issue does not occur if you’re using the new _API REST interface for SharePoint 2013. The problem is nothing to do with the list name and everything to do with how SharePoints LINQ DataServiceDataContext handles list names. So as you can see, if a SharePoint list name starts with 1 or more digit characters, the letters "c_" are prepended to the list name. 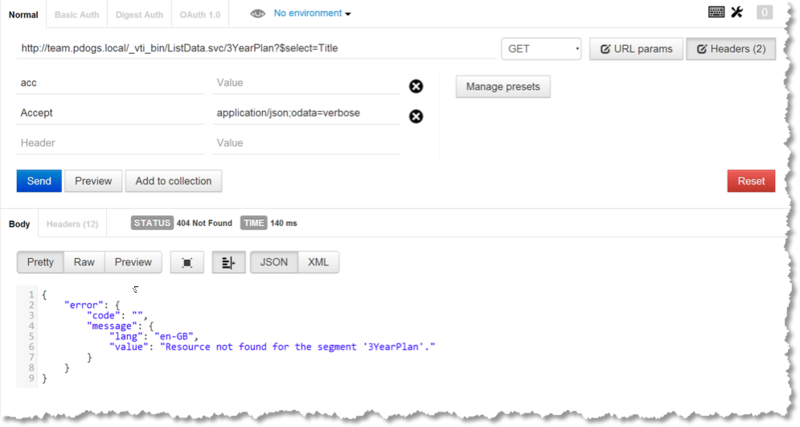 So, from REST call to “/_vti_bin/ListData.svc/” I get internal list names – how can I get friendly name using REST API ? Can you tell me Where Assembly is ? I try see in C:\Windows\assembly but i dont see it. SP2013+ REST is much better but I have a client still running SP2010 and they had several hundred lists that started with numerals that I wanted to run my queries against. To solve just run the REST query without the list name and it will list all the lists and their collection hrefs and atom:titles. My issue was that some have capital C’s then underscores others have lower case c’s then underscores – yeah ‘Friendly names’ pfft! so, we just applied the August 2016 CU (our last one was Nov 2015)to our stage and uat enviroments and it appears the listdata.svc prepending of “c_” changed to “C_”. This “broke” one of our Windows Services. I have let them know, but thought I should post this here too. Thanks for this post! Great write up! thanks for this! I wish there is a portal that contains list of all gotchas!